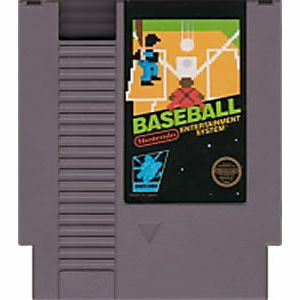 baseball original NES Nintendo Game cartridge only - Cleaned Tested and Guaranteed to Work! Not the greatest baseball game ever made but a must have collector's item if you are into old school gaming. 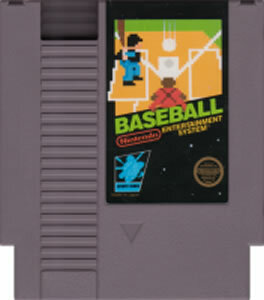 Baseball is self-explanatory game made by Nintendo. Being the first baseball game, it's definitely not the best. It's incredibly average, and considering the amount of baseball games on the system should not be the one you choose. Nice to have if you're buying all the "black box" games.